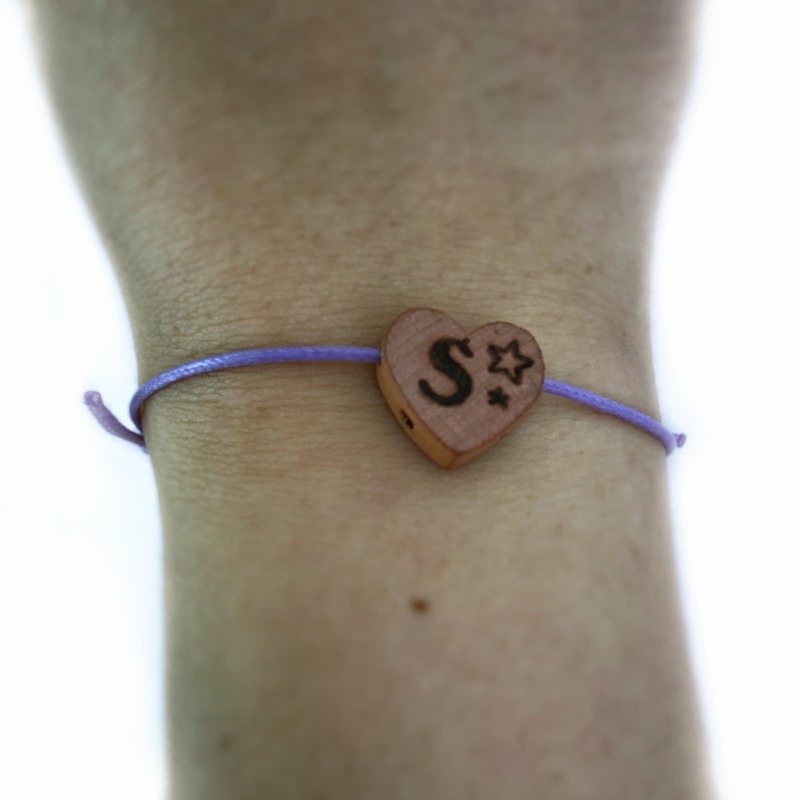 Heart-shaped wooden bracelet personalized with the name or initial. 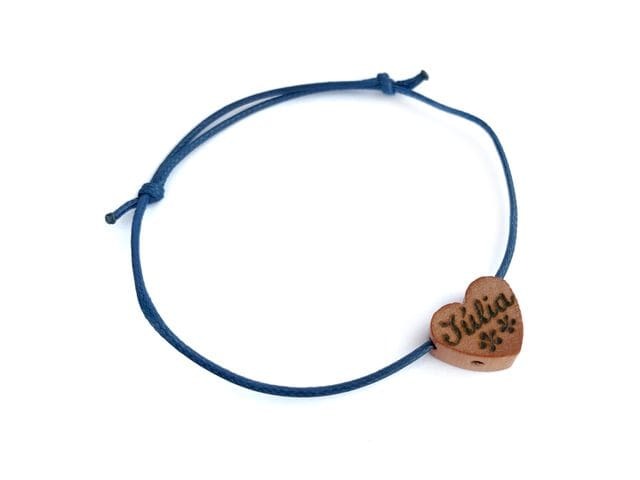 Write your name, your initial or 2 initials (separated by commas) in the box to customize your bracelet. 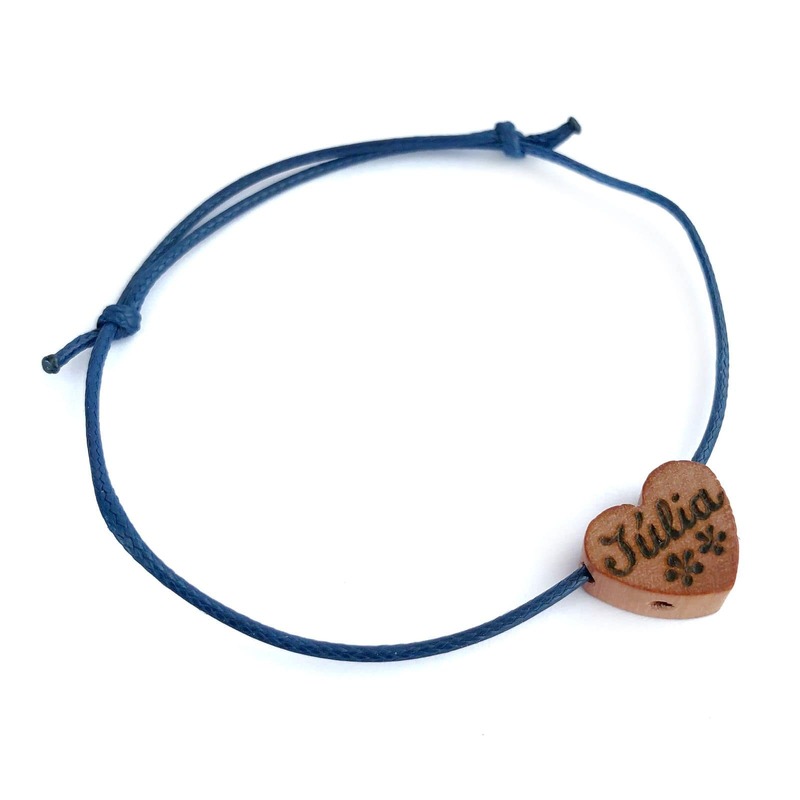 If you don’t write anything, we will send you the bracelet without customizing. 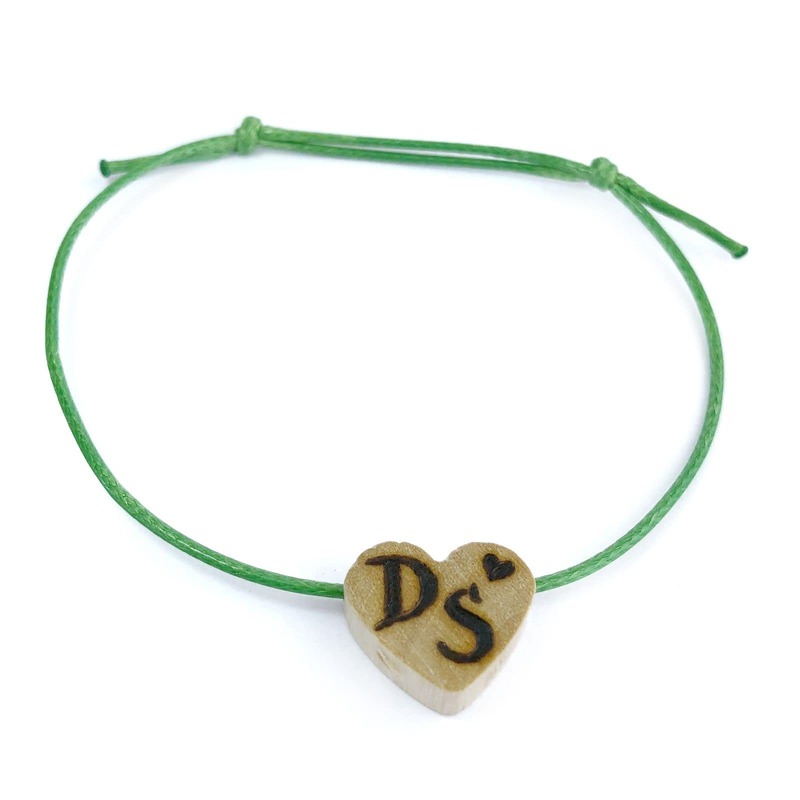 Wear a piece of wood in your wrist. For the most romantic ones. 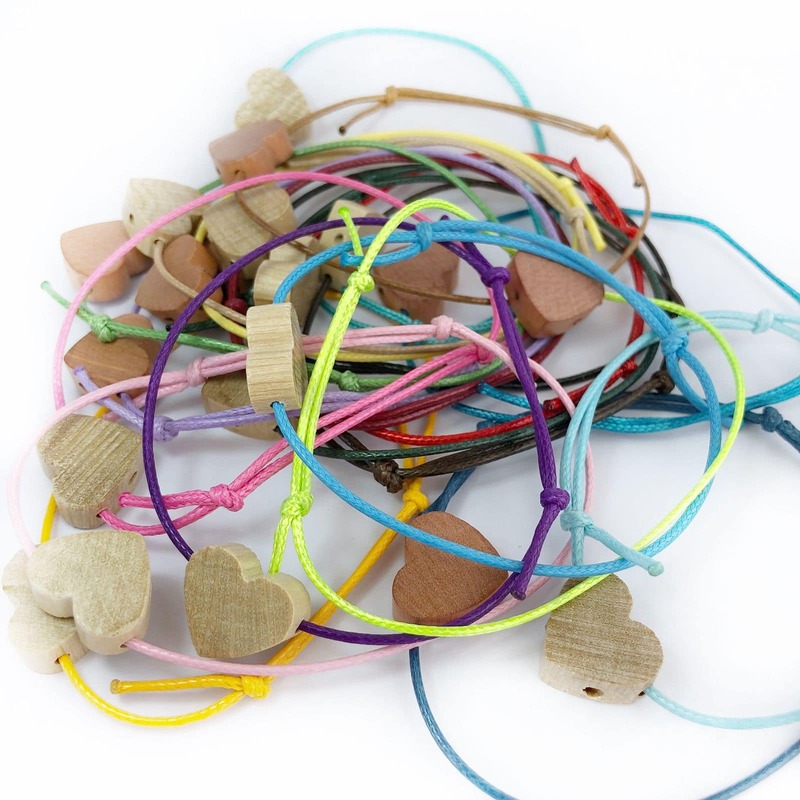 Heart-shaped wooden bracelet. It’s available in 2 colors: natural (light) or tinted (dark). It is very light and pleasant to the touch. The finish is lacquered. The string is made of Korean waxed thread, 1mm thick. And you have a lot of colors to choose from! Size is adjustable to fit all thanks to the system of sliding knots. Perfect for any person and age. Dimensions (wooden piece): 4 x 4mm, 15mm wide. Click here to see more pictures of our bracelets.